Tom Brady was smacked around for 57+ minutes by Rob Ryan’s tenacious Defense, but when it came down to the final drive Dallas looked helpless against the iconic QB. You can bet the Ryan brothers were on the phone all week long sharing ideas on how to shut down the Pats Offense, but in the end Brady prevailed. Tommy Clutch exectued a clinical 2 minute drill culminating in a TD pass to Aaron Hernandez that sealed the victory with 22 seconds left. Belichick’s big Defensive line finally lived up to expectations, limiting the Cowboys to only 77 rushing yards and pressuring Romo on key passing plays. The Patriots are the team we thought they were: a serviceable Defense led by a big, mean line and a slick, swift Offense with the ultimate clutch QB at the helm. 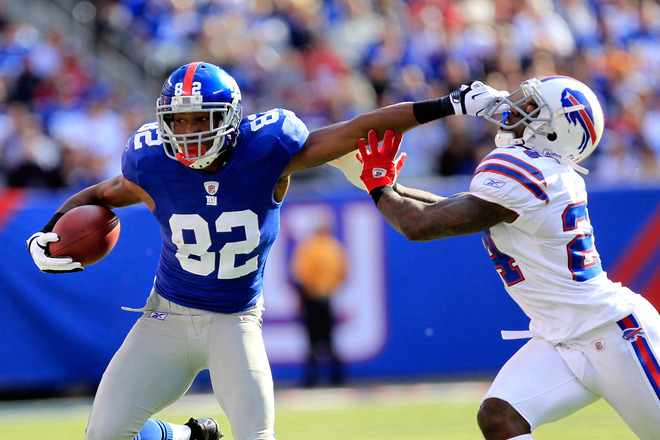 The Buffalo Bills lost the the New York Giants, dropping to 4-2 and conceding 1st place in the Division to the powerhouse Pats. It was a close game at 27-24, but it still looks like the Bills’ early success may have been a fluke after all. They are now only one game ahead of the Jets after starting 3-0. Darelle Revis and Co. absolutley humiliated Miami on Monday Night Football. Revis picked off Matt Moore in the Jets’ Endzone and ran it all the way back 100+ yards for a TD at the end of the 1st quarter. Up until then, the Dolphins had a 6-0 lead and looked like they were about to add another score. But Moore made a horrendous throw right into Revis’ hands and the all-pro corner strolled the length of the field for a pick-six. That was the big momentum swing the Jets needed, and they never looked back. 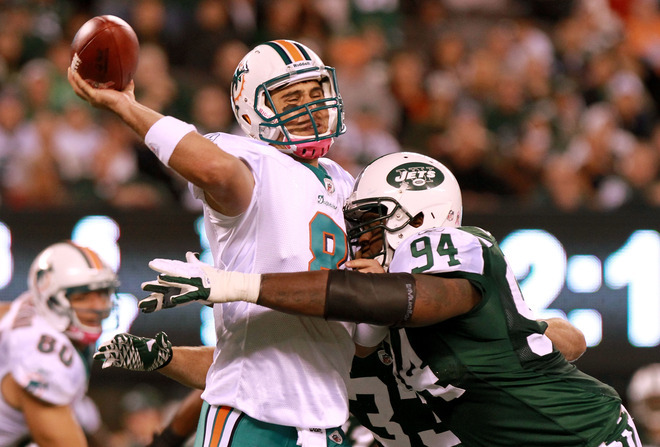 New York defeated Miami 24-6 moving to 3-3 on the season. The Jets are a very good Defensive team and they will beat up on the bottom feeders of the League (see 0-5 Miami). 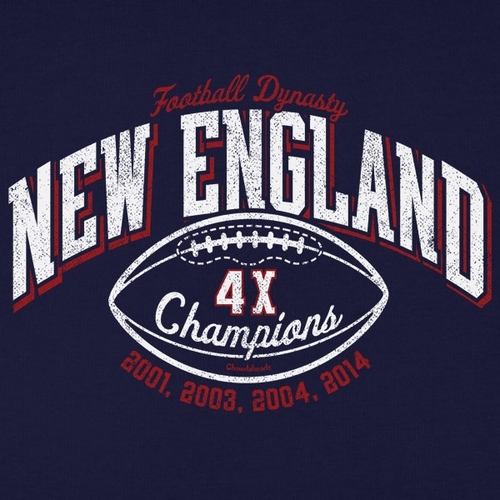 But New England proved last week that “Gang Green” is not quite on the elite level of the Patriots. I expect the Jets to make a run and probably sneak into the Postseason over Buffalo, but I can’t picture them knocking off the Pats in the playoffs again. Brady is just too good to lose to them two years in a row. 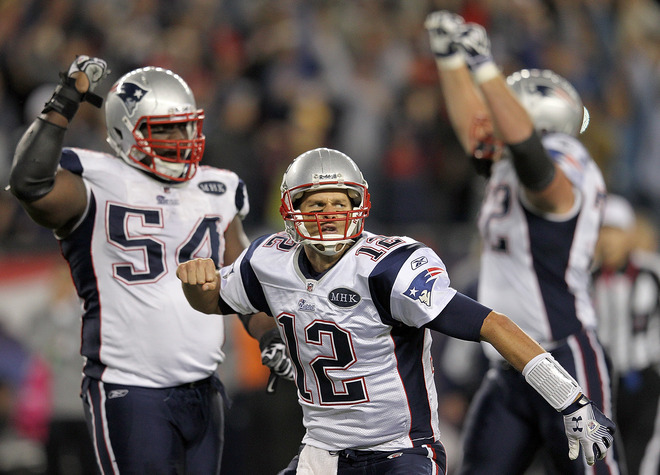 If Tom Terrific keeps playing the way he did at the end of the Dallas game, it’s hard to imagine anyone preventing the Pats from reaching another Superbowl. 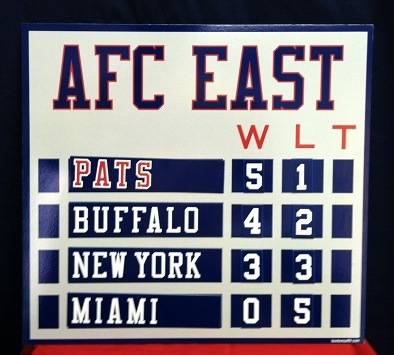 Order has been restored in the AFC East. The Pats look primed to Win the Division and the Jets are ready to leapfrog Buffalo for the Wildcard. And Miami… well, they might as well keep losing and wait for Andrew Luck.